If you are looking for an invisible way to improve your smile, look no further than invisible orthodontics. Clear braces can correct a variety of problems, including crowding, overbite, underbite or spacing issues. Clear braces use a custom made series of clear aligners that you change every two weeks to gradually shift your teeth into place. With clear braces, you can still eat the foods you like. The smooth comfortable plastic is less likely to irritate your lips and cheeks and the braces are completely removable, so brushing and flossing is normal. 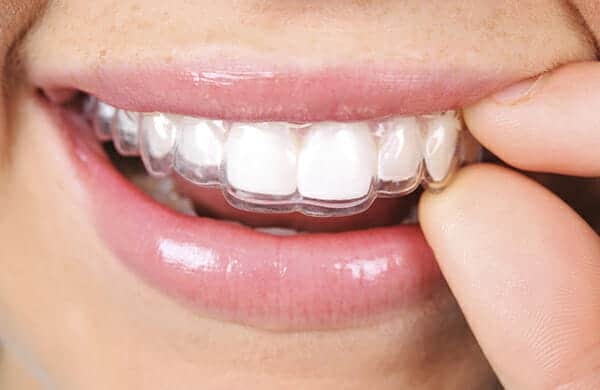 Clear braces allows you to correct dental imperfections and can be used alone or in combination with cosmetic dentistry, making treatment more conservative. Invisalign can be a great solution for professionals or teens, helping you avoid the social awkwardness of traditional braces. Visit your Sammamish dentist, Dr. Kelley Fisher, today for a complimentary consultation.